You are here: Home / News / News / Music of Oz, and the music played on…! Music of Oz, and the music played on…! It certainly did – despite the media hype publicising a terrorist plot (that turned out to be a hoax) and the police cordoning off the streets surrounding Oxford Circus earlier that evening. The show went on regardless! And what a show it was. 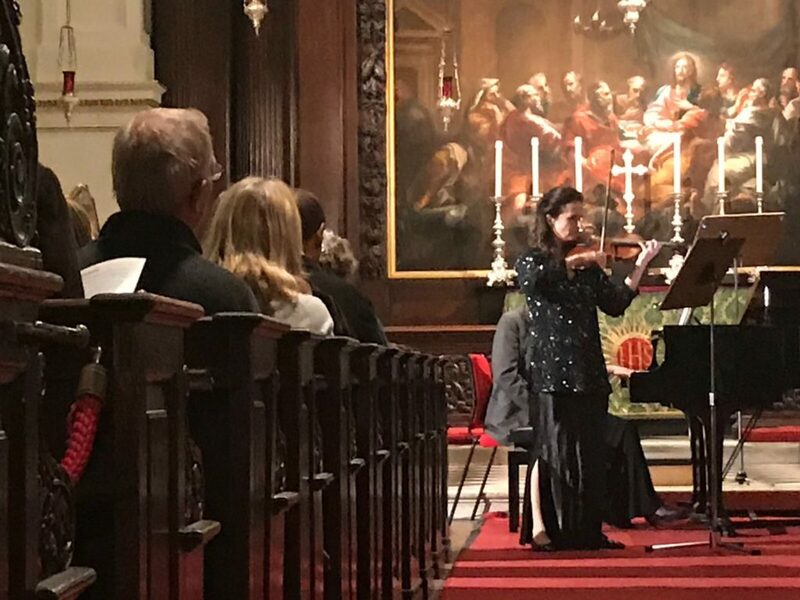 Support for CAM’s inaugural concert Music of Oz in the heart of London was terrific and we were honoured by the presence of our patron Piers Lane and the numerous musicians and music lovers in our audience. 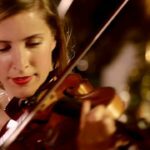 As part of this fascinating evening of Music of Oz, Coral Lancaster delivered a stunning rendition of Carl Vine’s Inner World staged in blackout with only a spotlight on her hands; Madeleine Mitchell perfectly timed the ending in the UK premiere of Robert Burrell’s Becoming for violin solo and recorded butcherbird. And Susan Bickley and Christopher Gillett’s artistry in performing songs by Bainton and Benjamin as they launched their new CD. 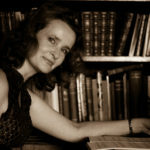 You can hear a clip from the special St Cecilia’s Day BBC Radio 3’s In Tune from 22 November with Wendy Hiscocks and and Christopher Gillett performing songs from their new Naxos CD. Click on this link to hear the podcast from the show which was broadcast live from the Watford Colosseum. Wendy and Christopher are on from 1:17:00. My thanks to Revolution Arts for the beautifully designed concert programme and ongoing support, to our sound engineer Alastair Goolden, and our administrator Ann Holme. CAM is currently planning three events in 2018 with the first of these taking place on May 21 in central London. Stay tune for further developments. A big thank you to the support from the Friends of CAM and I wish everyone a wonderful Christmas! Wow! I’m sure this was very special. Wish I was there! I still live in Perth, WA, but I’m so impressed with what you are doing in the UK with Australian music. I bet your audience loved it. Hello again to Wendy, and to Coral. Coral, if you think way back you may remember I accompanied you for part of the Debussy cello sonata at UWA. Long time ago. Great to see you have done so much since then.